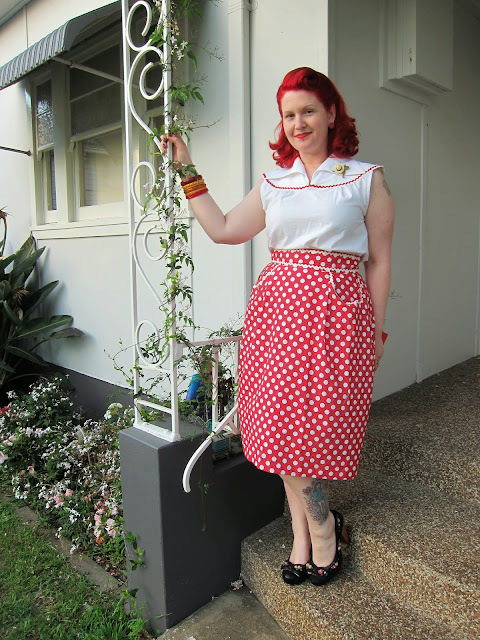 Introducing the gorgeous Bex and her Peggy skirt. 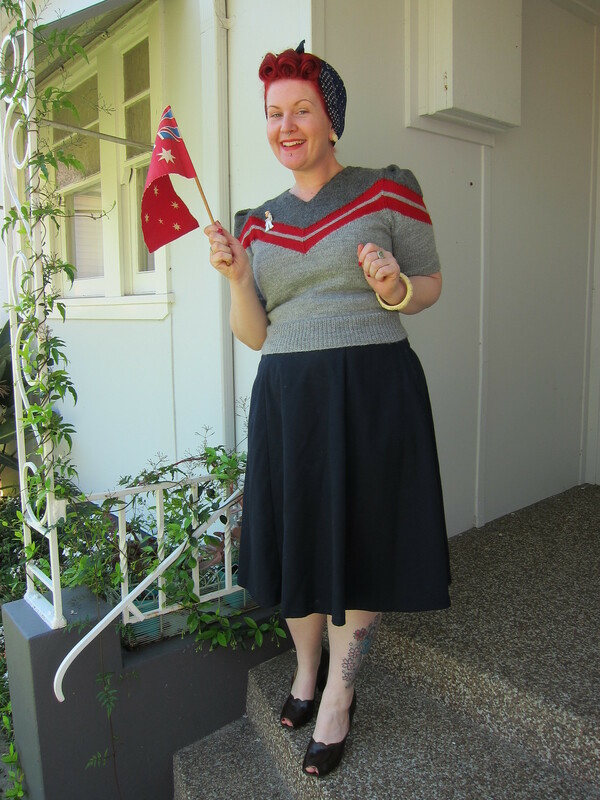 I asked Bex to test the Peggy skirt pattern for me, and i was totally blown away by what she came back with! She came through with the goods and dazzled me with here sewing talents. 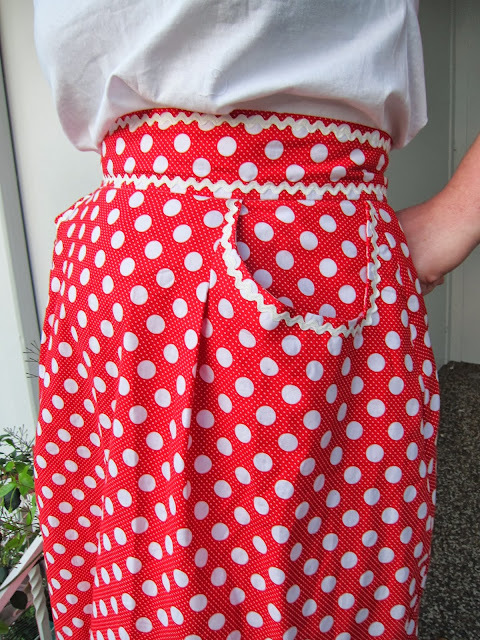 She has created a beautiful version of the Peggy skirt and the rick-rack detailing on the pockets is AMAZING! Its such a cute way to accentuate the pocket detail on the skirt. Bex has sewn up View A of the Peggy pattern without the button tabs, basically because these were a last minute design feature that i only decided to put onto Peggy at the very last minute, BUT it View A waistband works just as well without the button tabs. You can see Bex and her Peggy skirt in all its glory on her blog, Subversive Femme Anarchic Knitter, but for now have a look at her beautiful photos, the styling is out of this world! She also made the blouse she wearing in the photos, which is from an original vintage pattern and its matches the Peggy skirt beautifully.. 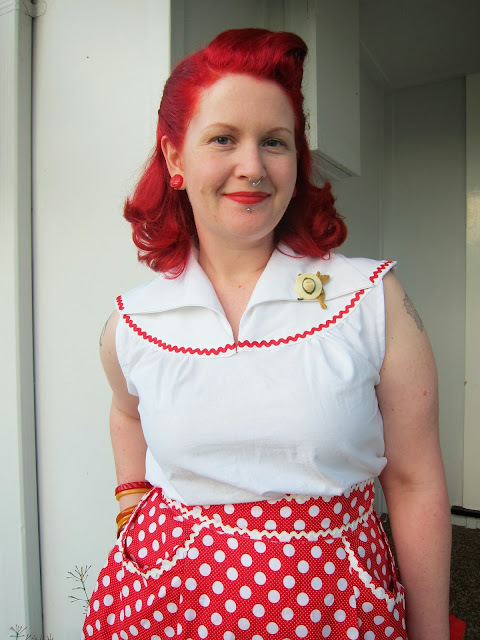 Check out Bex's blog and read about her take on the Peggy skirt and all the other sewing goodies on her blog, she is one super talented sewing AND knitting gal! I mean just look at this vintage jumper i knitted below, WOW! She also has an awesome list of vintage knitting and sewing patterns that she has uploaded that are available to all! You can pick up a copy of the Peggy skirt now with a 10% discount until the 11th of October, you just need to use the coupon code: PRETTYPEGGY2013 on the new and fancy WEBSITE or at the ETSY SHOP in either shop to claim the discount... Or even easier click on the button below!